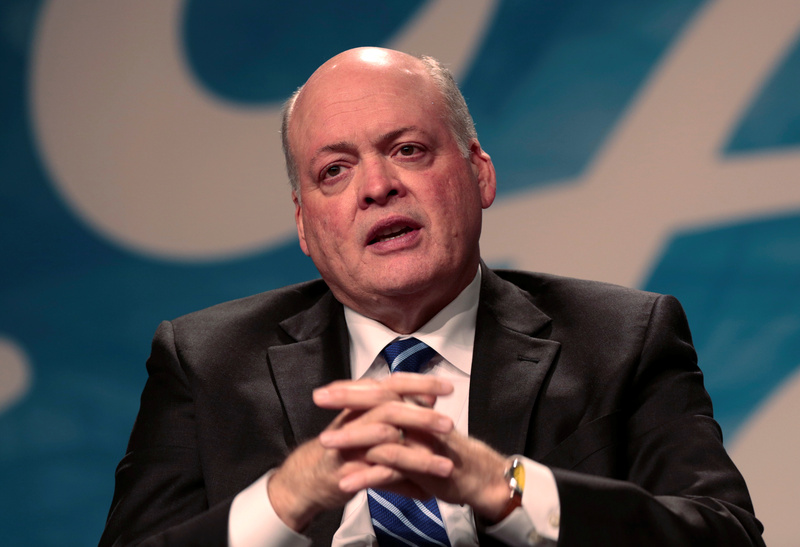 Jim Hackett talks a big game about improving the carmaker’s capital use and its mobility unit. In his first quarter at the helm, he used tax breaks to beat estimates and mask future earnings pain. He will quickly need to do better than this to navigate the stock out of the mire. Newly named Ford Motor Company president and CEO James Hackett answers questions from the media during a press conference at Ford Motor World Headquarters in Dearborn, Michigan, U.S., May 22, 2017. Ford Motor on July 26 reported second-quarter net income of $2 billion, or 51 cents a share. Excluding one-off items, the company earned 56 cents a share. The consensus estimate of sell-side analysts was for earnings of 43 cents a share. The carmaker’s results were helped by an adjusted tax rate of just 10.2 percent, compared with 31.4 percent in the same period last year. This included $421 million from realizing deferred tax assets in businesses outside the United States. The company also said it has revised upwards its expected earnings to between $1.65 and $1.85 a share, ahead of sell-side expectations of $1.51 a share. That is due to the annual tax rate dropping to 15 percent, compared with analysts’ consensus estimate of 30 percent.